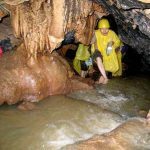 Situated in a small village 2 kilometers from Moon Hill (月亮山), the Moon Water Cave (月亮水岩) has been open to the public for nearly 10 years. 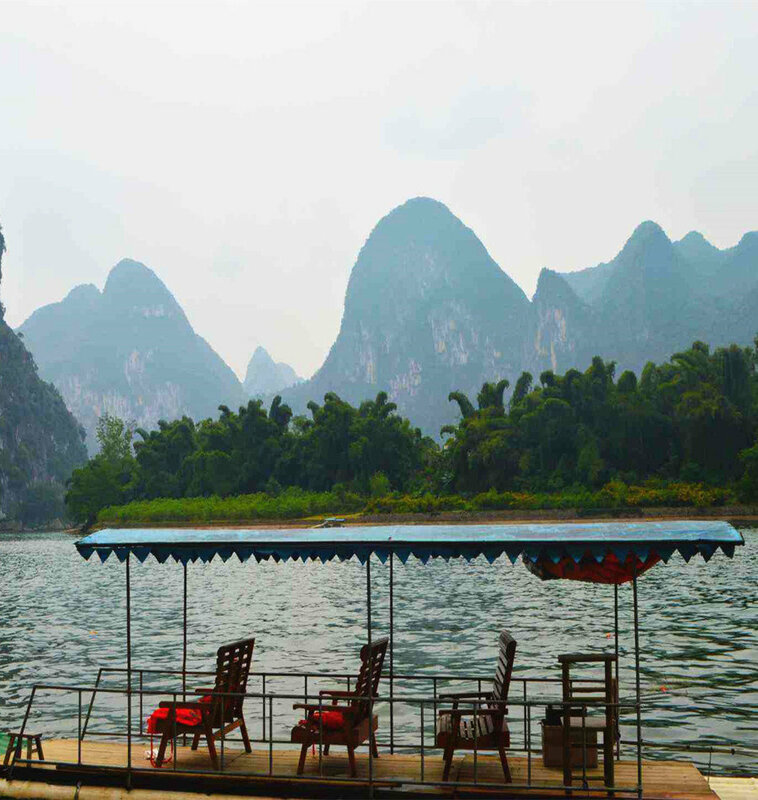 It is the largest and one of the most exciting natural caves to explore in Yangshuo. 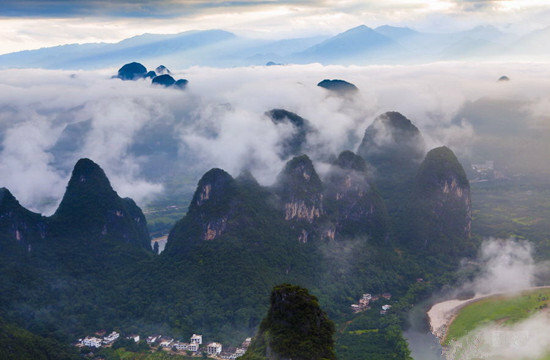 The whole cave is about 6 kilometers long and runs through 8 mountains. 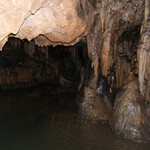 The water in the cave is 0.5m deep and has a gentle flow which is clean and safe. 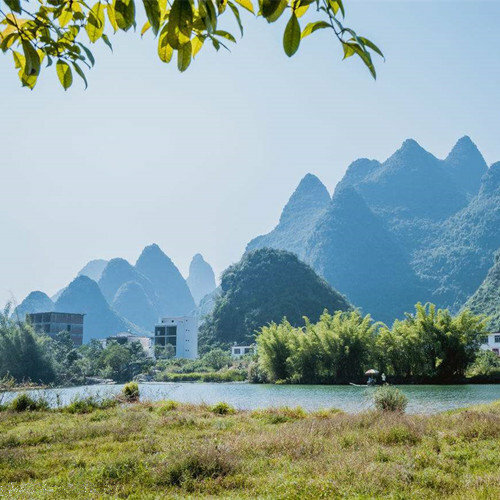 Used as refuge by the local villagers from the invading Japanese army during WW II, the cave draws its name from a tiny stalagmite resembling the Maitreya, located a short distance inside the cave. It’s easy to see why locals thought the cave secure from the Japanese and why portions are still off-limits to visitors. 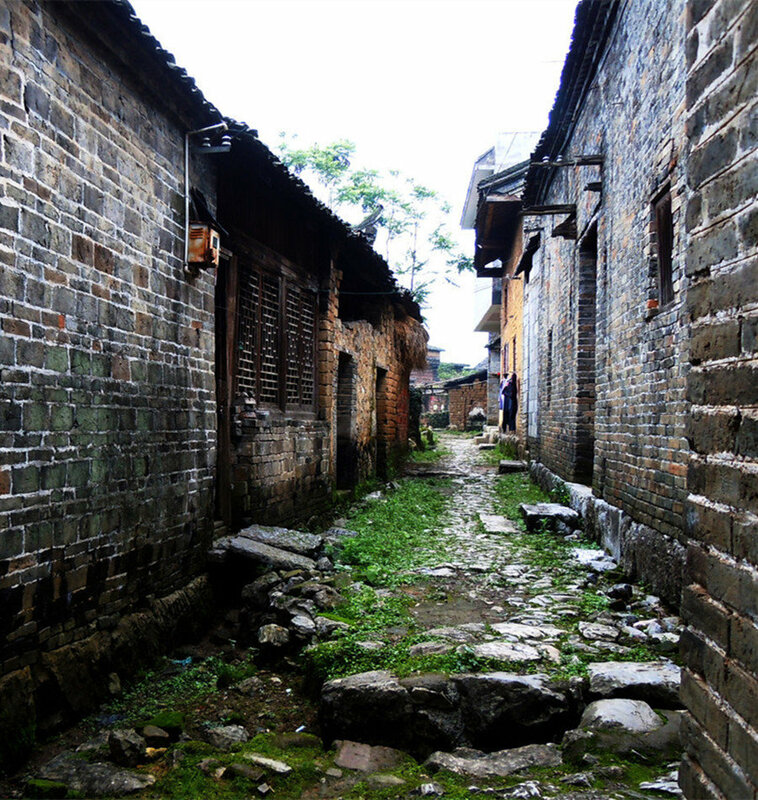 The cave is full of narrow, maze-like, and sometimes dangerous passages. Be warned, even in the areas open to the public there have been injuries during the cave’s 10 years as a tourist attraction. 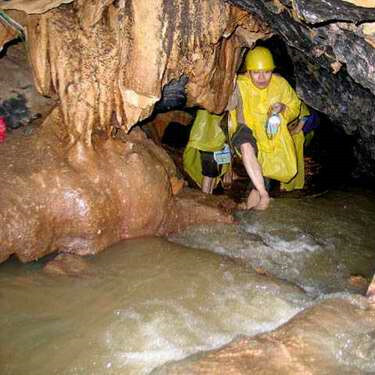 A guide and a flashlight are necessary, and it is necessary to crawl through muddy holes, climb up and down stalagmites, and sidle in between stalactites with the aid of ropes and ladders. The cave is the most extensive, unaltered subterranean micro cosmos in the area. Complete with stalactite “drums” and an underground waterfall pool, you can bathe and swim. Bring your swimsuit and towel. 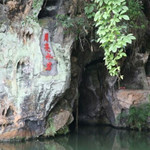 There are two tours to choose from to visit the Buddha Water Cave(菩萨水岩). a. One and a half hour tour where you will see various stalactites, stalagmites, fossils and fish and bats. Take a boat or swim and enjoy a shower under the waterfall. 2-3 hours tour, visit the whole cave. The trip uses flashlight. 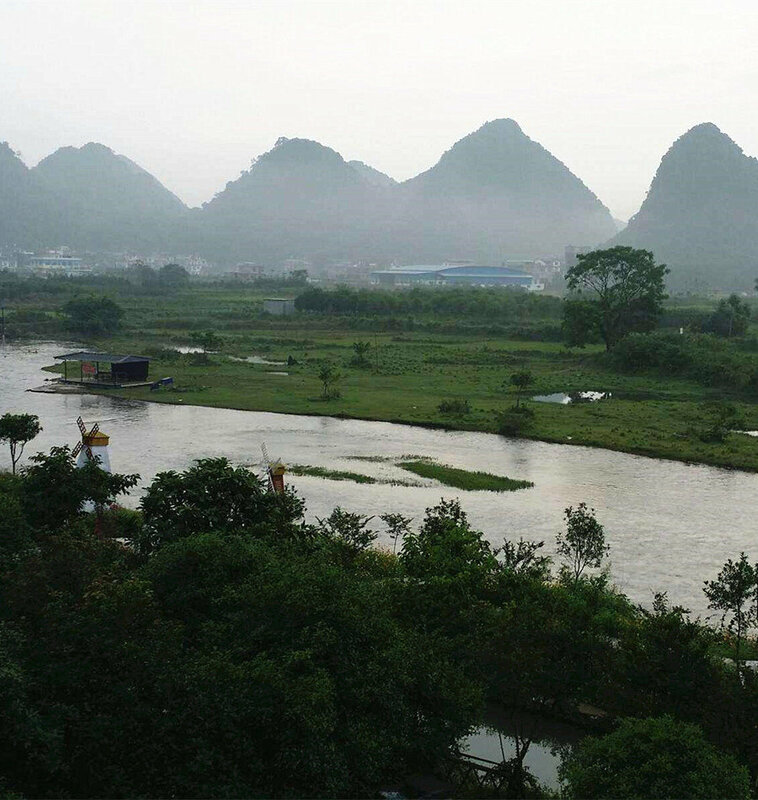 It’s an excellent place for river walking. Be prepared for a wet and MUDDY experience. 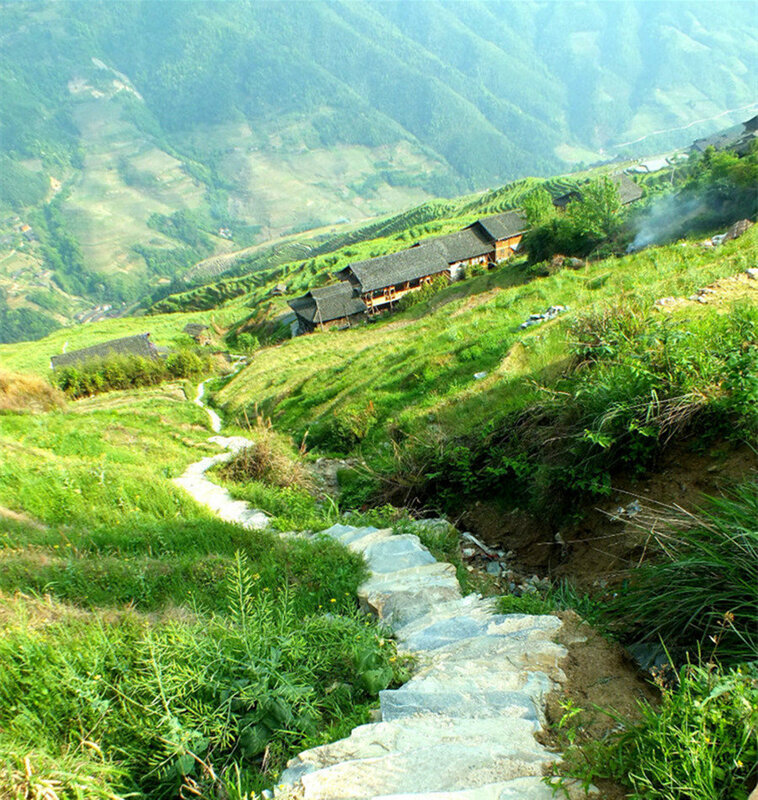 It is a great experience for the more adventurous traveler and it is also good for your body.